Looks like another chicken killer has discovered our flock. On Saturday, we took the girls to see the Ringling Brothers / Barnum & Bailey Circus in downtown Nashville, then went out for dinner. Chareva and the girls went to bed around 9:00 PM, but I stayed up until 1:30 AM – my usual bedtime on weekends. Just as I was getting undressed for bed, I heard the Rapper Rooster start screeching in the chicken yard. I could tell he wasn’t in the barn because the sound wasn’t muffled at all. What heck is he doing announcing himself outside the barn in the middle of the night? I thought. It occurred to me that he might be screeching at a predator. So I got dressed, grabbed a big flashlight and a .22, and went outside for a peek. By the time I walked partway down the driveway and shined the flashlight on the chicken yard, all was quiet and the Rapper Rooster had returned to the barn. Oh, well, maybe he’s just a weirdo who likes taking a middle-of-the-night stroll, I thought. I recalled that I’d also heard him screech in the middle of the night earlier in the week, and we didn’t find any headless chickens the next day. When I woke up on Sunday, I told Chareva about the ruckus and asked if she’d found any chicken parts in the yard when she fed the chickens that morning. Nope, she hadn’t seen any evidence of an attack. Not yet, anyway. Later in the day, Alana noticed a pile of feathers outside the chicken-yard fence and pointed them out to Chareva. So Chareva tried to take a head-count (not an easy task with a flock of moving chickens) and kept coming up with either 19 or 20. We lost the runt rooster to a hawk and three other chickens to leg injuries, but we should’ve had 22 left. Rats. I guess both times the Rapper Rooster was raising hell in the middle of the night, he was responding to a predator. We’ve lost at least two and perhaps three chickens. (I tried to take a head-count today and, like Chareva, I kept coming up with 19 or 20. Darned chickens won’t sit still.) So we’ve got another chicken killer to deal with. I’m just not sure what kind of critter it may be. When Rocky Raccoon killed three chickens last spring, he left plenty of evidence. He pretty much just bit off the heads, so Chareva was finding headless carcasses. This time the chickens are nearly vanishing. Alana found feathers on one side of the chicken-yard, and I found feathers on the opposite side when I went looking yesterday. But that’s it … no body parts, no blood, no bones. Rocky left the carcasses in the chicken-yard. Based on where we’re finding the feathers, whatever is killing them now is capable of hauling them over the fence to finish them off. We put that one big net over the yard a couple of weeks ago and draped it over the fence, but there were a few gaps, and the net wasn’t tight all the way around. There were areas where a predator could climb the fence and easily slide under the net. I took care of that yesterday and today. It’s not the prettiest solution, but I weaved clothesline around the top of the fence and the bottom of the net to tighten it down and close the gaps. I’ll go for something more aesthetically appealing when I’m not working in near-zero weather. 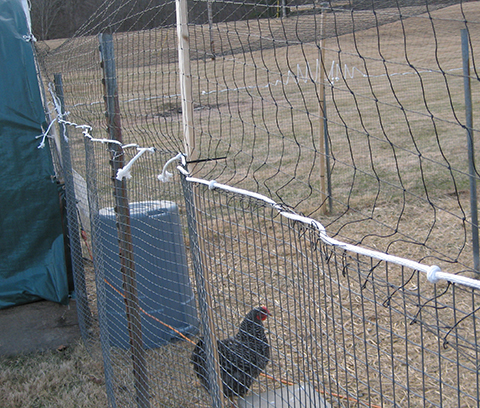 The biggest gap was between the net and the gate – and we can’t attach the net to the gate if we ever went to enter the chicken yard again – so Chareva and I strapped chicken wire across the posts on either side of the gate, attached the net to the middle of the chicken wire, then bent the top of the chicken wire over the gate. I hope that does the trick. 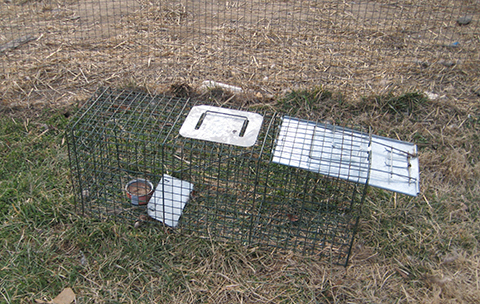 Late yesterday afternoon, I set the same trap that nabbed Rocky Raccoon. That’s a can of cat food serving as bait. When I bought the trap, a guy at the Tractor Supply Store told me a raccoon will take the easy meal over having to go kill a chicken. Yeah, but I doubt many raccoons are attracted to cat food that’s frozen solid — not when there are warm-bodied chickens nearby. It was 50-plus degrees yesterday afternoon when I loaded the trap, but we got one of those arctic blasts overnight. The high temperature was in the 20s today, heading down to 5 degrees tonight, and we won’t get above freezing until Thursday if the forecast is correct. I’ll leave the trap near the coop, but I don’t expect it to snag any critters until the cat food thaws. In the meantime, I hope the Rapper Rooster doesn’t have a reason to raise another middle-of-the-night ruckus. I really, really don’t want to check on him in the dark when it’s 5 degrees outside. I don’t know if my trap is big enough for a fox. I guess we’ll find out. Maybe fox or coyote. You need a couple hunting cameras, that way you can keep tabs on the night time visitors. I can’t imagine a coyote squeezing through those gaps, but a fox sounds like a possibility. Time to set out the trail cam. We’ve had problems with bears in the past. They can be surprisingly quite and nimble at times, so be careful a .22 might not be enough. I would never shoot at a bear with a .22 unless the bear was already chasing me and the .22 was my only weapon. Then I’d pray for the perfect head shot. I have had great success catching raccoons with canned tuna. The aroma drives ’em wild. But as you say, it does not work when the bait is frozen solid. Found that out after trying a few times last week. Now planning to wait for spring to arrive in Chicagoland! I’d wait for spring, but I don’t think the predators will. I had similar problems when I kept chickens. Our raccoon ate the organ meat and left the rest. The last predator took the whole chicken. I am pretty sure it was a fox but I never saw it. Good luck. The rule of thumb here is that if a squirrel could get through so could a fox. Will a .22 kill a racoon? I think I would prefer a .223 or similar. I am glad we don’t have Racoons over here,(rural) foxes are lazy enough that they don’t bother if they have to do lots and lots of work. Martens are the worst, they are smart, small, voracious and totally protected by law. My .22 took care of Rocky Raccoon without any trouble. Foxes will take the whole bird. I’ve heard their M.O. is to take what they want to eat today, then come back and do the same next time they get hungry, until you have no chickens left. Better than having a stray dog kill your whole flock in one go, but the end result is the same. Yeah, a fox is looking more and more likely as the culprit. Looks like you’ve got a squatch problem! Sasquatch? I don’t think I’ll shoot at him with a .22. We had a ferret come kill half our flock 3 weeks ago. They just bite the neck and drink the blood, little bastards. We trapped it and aerated its head. Remarkably satisfying exercise. W3 don5 have foxes and racoons here fortunatly. I have a very large suburban lot and regularly friends advise me I should raise chickens given my focus on local fresh food. Ahem. This reminds me again that I really don’t need another hobby and that 7 dollars a dozen and 15 dollars a chicken is really not that much to pay for the privilege of not having to deal with predators and all the other things that come with raising chickens. Don’t get me wrong. I deeply admire all of you. I pay local folks regularly at their farms to give me eggs and chickens. It is an adventure at times. The adventure during this week’s arctic blast was taking hot water out to the barn and pouring it into their frozen water feeder. Looks like it’s warming up, so too late for this suggestion now, but buy an aquarium heater and put it inside your waterer. Thermostatically controlled, and they’ll keep your water thawed during the cold snaps you’ve been getting. You can also wrap the “can” in heat tape available at any hardware store. Same store will also carry a “Thermo Cube” that just plugs into an extension cord, and only turns on when it’s below 34deg. All good ideas, thanks. We’ll likely get at least one more cold snap this year. We had a fox who decided our deck was his territory and peed around it on a regular basis. It is hard to sit and enjoy my glass of wine and chocolate surrounded by skunk smell, (fox pee smells very much like skunk). The fellows over at the Agway recommended coyote urine, yikes. How do I get urine out of a coyote? Fortunately they sell it along with little bottles with holes in them to spread the smell. Worked like a charm. No more fox. It did take awhile for the smell to get off my hands after I spilled it on them. I’m still left pondering how they get the coyotes to pee in a bottle. Now that you mention it, I’ve caught what smelled like a whiff of skunk a couple of times. Maybe that’s the fox marking his territory. I agree on it being a fox. They can climb fences and they have that musky smell that one just cannot forget. When I was a rehabber, we had one as a resident briefly and the whole shelter smelled of fox! Just opening the front door would bowl you over, but I digress. You could try a coyote roller. Interesting idea. I’m picturing Wiley Coyote doing a little log-rolling dance. 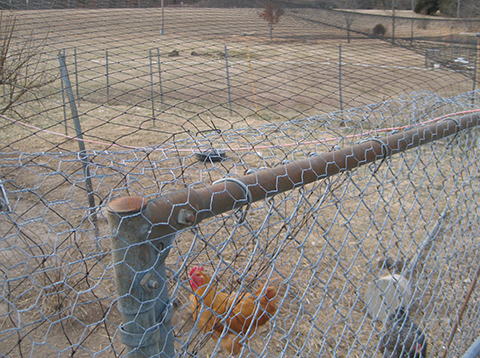 Not much you can do about hawks when your chickens free-range. We’ve lost a few that way. 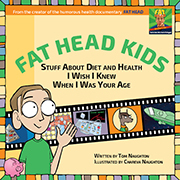 After payday I’m buying a copy of Fat Head. Once I watch it, I’m donating it to our library. 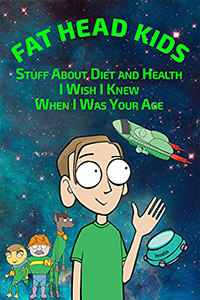 The librarians will order almost any low-carb book I recommend, but they don’t have the budget for buying DVDs. We need to get that barn door fixed. It doesn’t close completely. My hope is that I’ll trap whatever is killing them before it gets into the barn. That’s what happened last time. Rocky Raccoon went for the easy meal outside the fence and got locked up. I doubt it’s an owl, unless the owl was willing to push aside the net, grab the chicken, drop the chicken outside the chicken-yard fence, then eat it. When coyotes ate a rooster we let free-range, they left feathers behind. They didn’t pluck him or anything like that, but they did leave feathers behind.